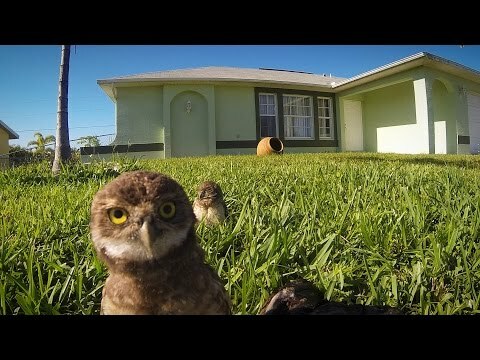 A video of two baby owls dancing in front of a Go Pro camera has gone viral after the bouncing birds have been viewed over 1.9 million times.Filmed by wildlife photographer Megan Lorenz, the owls can be seen looking directly into the camera lens as they strut their stuff on a lawn outside a house.There's some serious shapes too, although one of the birds is a lot more confident than the other, taking center stage while the other owl lurks in the background. One Baby Gets Particularly Close, Pecking Away At The Video Recorder Before The Clip Cuts Off. Megan left the Go Pro camera on her lawn outside her house while she went to work - when she returned, this is the footage she was greeted with. She then added a dance track to the video and posted it online, allowing the online world to enjoy the antics of these two adorable owls. In these trying times, it's important to appreciate the little things, chief among which should be these adorable owlets with their fluffy feathers, big expressive eyes, and bellies full of mouse bones. Turn up the video quality for maximum effectiveness. 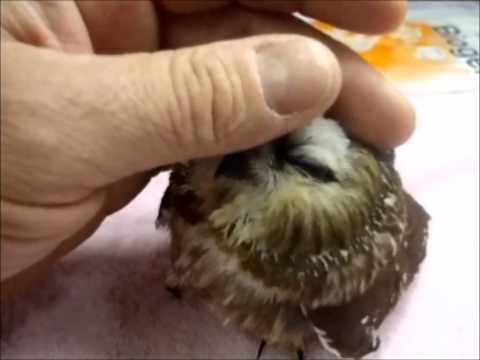 Still Need More Owl Adorableness? Fine, That's Okay. We're All Gonna Make It Through.